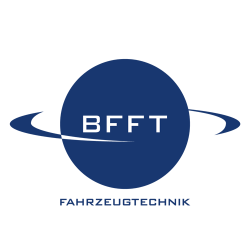 The BFFT Gesellschaft für Fahrzeugtechnik mbH is an automotive engineering developer that focuses on electrical systems and electronics. The company was founded in 1998, has expanded continuously since then and is part of the EDAG Group since 2013. In 2015, the annual sales volume amounted to 76.4 million Euro. About 800 employees work at the headquarters in Gaimersheim near Ingolstadt (Bavaria) as well as in other offices in Germany, Italy and the USA.